Over a recent weekend I entered into a couple of deeper works, a Holotropic Breathwork day on Saturday, my fourth this year, and I received DMT in ceremony on Monday, my first time with this medicine. In the days after I can feel I’m wide open, irritable, vulnerable, sensitive, and the reflection is palpable. When I tune in, become present and conscious, I can see what has been placed before me is intentional, and purposeful for my awareness and growth, certainly not random. The sense of an expanded consciousness is both invigorating and frightening. The familiar world view is comfortable, the confusion of that falling away is unnerving and leads to the “am I going mad?” thought from time to time. But out of this new unexplored state, comes new ideas and perceptions, a small step further into awareness of my path, of who and what I am, of what this place is. Usually I have time to prepare myself physically and mentally for this kind of work but I only became aware of both works a few days beforehand, both were presented on the same day and I knew instinctively they were planned for me by my higher self and guides. I knew the HB would be suitable to open me and help clear any heavy energy before the DMT, so knew they would compliment each other. I’ve written before about Holotropic Breathwork here. I find it very powerful, there are no chemicals involved and its driven by ones own breath and persistence. So you can lie there and listen to music for three hours, or you can drive your consciousness into an altered state through the breath, and see where the higher self takes you. Last October I experienced an intiation under our Mother Goddess during a medicine ceremony, this led to the divine feminine work I presently do with women. But Saturday’s HB felt like a second initiation, like a Part 2 of that work. I further explored the challenge and burden of womankind and also witnessed the struggle to liberation that individual women must take for themselves to break free. I faced this work as a higher man, as a King and Warrior, bringing with me my light and also my darkness to reflect back to those who required it for their own lessons. This was a very powerful experience. I felt humbled and honoured witnessing women work through their own trauma, and knowing that possibly my own being played a role in creating this trauma, if not to the women present on that day, but to many others as we worked through our lifetimes. And then knowing we were reflecting that pain to each other now for the opportunity to own it and make peace, to rise above the suffering. The first thing I was told by Mother Ayahuasca in March 2016 was “You are a warrior”. It has taken me 15 months to earn back that title which I believe I had previously in higher lifetimes or realms but surrendered as I worked through the lower energies of fear. I understand that I earned this next step both in the third dimension, in facing some very challenging situations in the past year, but I also know a lot of the work was done through my work internally, continually returning to ceremonies despite the fear I felt, and my recent relentless work on facing and learning from my reflection in the third dimension. I am aware I am a King and Teacher, the latter is my role in this lifetime. But both have to be earned again. The crown has been lost along the path of experience but can be regained by continually taking the higher path, by honouring the work of the spirit. 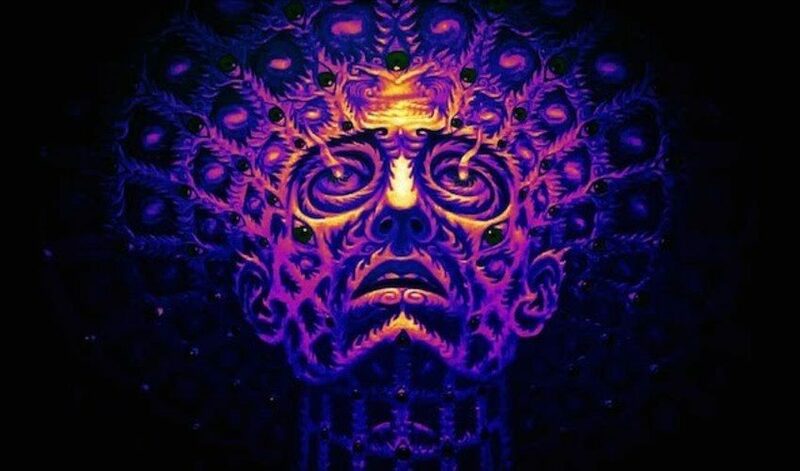 I became aware of DMT about 15 months ago and although curious knew that it was not an experience I was ready to have, I had too much fear. My ayahuasca sessions were already packed with demonic and satanic energies and beings, and left me too fearful of the intensity of DMT. The thought of being cast out into other dimensions with no concept of ever returning to the body, no awareness of time, and possibly confronting some of the terrifying beings I had encountered previously was just too much of a leap for me. However, as a result of a number of various medicine ceremonies and a number of HB sessions, my fear has lessened, I’ve grown tired of it perhaps, and I have begun to claim my power over the lower fears. I’m being pushed, or I’m pushing myself, expansion is now. Very briefly 5MEO DMT originally derives from a North American toad, the Colorado River Toad. The psychedelic psychoactive substance exudes from the skin, but these days can be synthesised. It comes as a powder that is smoked and results in a fifteen minute to forty five minute journey. Some people have described the sensation akin to being shot out of a canon, out of the body, into consciousness with no awarenss of this physical dimension. But DMT can be found in plants and animals and is generated by the pineal gland in humans. DMT is commonly known as either The God Particle or The Spirit Molecule. I have been a reluctant medicine participant, ideally not wishing to partake in such intense and frightening journeys. But I have experienced great benefit as a result of this work, despite finding almost all of this work to be very challening, frightening and usually involving heavy purging of dark energies followed by more layers of my life being stripped from me. After all this I find myself lighter, stronger, more grounded, and certainly more purposeful, thus I continue. So when the offer to attend a DMT ceremony was presented I knew I was ready, after the initiation as a warrior on Saturday, to accept this part of my role, working with medicine, and get on with it. Most reports of DMT talk of losing all awareness of the third dimension, of going all out there, into energy, in some cases to Source. Now this is all wonderful if you have a wonderful experience, however, if you are shot out into the darker realms, or to confront demonic forces, obviously this can be extremely challenging. But I knew I was ready to take this step, come what may. I experienced two rounds, administered through smoking a pipe lit by a shaman. I inhaled the smoke and within seconds was flat back on my back on the alter, the skin on my face sizzling as I was shot out of the body. Gone, into energy, into spirit. No room, no people, no time. Only colours, light and sensation. What occured here I cannot recall, but as this stage passed I became aware of the body again, and bolts of energy through my core similar to the HB on Saturday. I am familiar with this power as I have experienced it in ayahuasca and some times lately in meditation. Forceful energy shot up through my core causing me to convulse and bounce around uncontrollably. This was followed by some purging into a basin, and soon I was back in the room, present. All in this lasted fifteen minutes I was told. The second round was a higher dose. I felt some fear as I knew instinctively that the “Handshake Round” was over. The Handshake is the medicine and I becoming acquainted, the beginning of the initiation. I knew from most of my ceremonies I’m not there for fluffy experiences, I’m there to work, I’m a worker, I’m happy to go deep with the awareness the payoff comes down the road. I inhaled from the pipe and lay back and don’t remember much after that, just being so far out that words cannot describe, and this world no longer existed. Soon I became slightly aware of the body, and huge convulsions of dark energy began to roar up through my chest and throat. The medicine was so strong that I felt like a ragdoll, I was thrown around by this entity, it roared and I wretched over the basin. No matter came up, all energy. All I could do was observe this process, I had no input, I had no control, I simply had to ride out the purge which seemed endless. During breaks I would fall back on the alter before bolts of energy would push me upright, legs in the air, arms in the air, chest up, down, head up down. I was thrown around. I stayed out of the way, merely an observer and allowed the medicine to do what was required, what I imagine to be the clearing of heavy trapped energy, finished contracts with great demons and entities my higher self engaged with in this and previous lives. And energy flushing through the chakras with the realignment, reconnection of the remaining strands of DNA. When faced with a force as strong as this the best option is complete surrender. Very gradually this began to slow down and I went through a journey of pain with the heart, sadness and self criticism. As the ego reattached “I” began to analyse and dissect the whole experience. Judgement and self criticism returned. I was human again. This journey took about 45 minutes, I was spent by the end of it and a little disorientated. I trust the work, I trust my light family and ultimately I know all that occured is purposeful. However at this stage I’m fully aware that to get to the higher, happier states, entails mining and making peace with the lower states. Our lives can be deconstructed to make space for new energy and experience. So naturally I wonder what challenges may now be presented in this physical plane. This kind of work opens us up, purging old energy, entities, ideas from the spirit, leaving a void that needs to be nurtured and filled with our own self care, love and gentleness. The void can be filled with hungry ghosts and restless behaviours if we are not careful. As a result of this weekend I have expanded the work I do with women, to include men also. I knew for months the importance of this work for men, but could not see how to go about it. Early results have been very positive and powerful. Please have a look at my remote energy healing work through the link at the top of the page and have a read of the testimonials. Sign up to my newsletter by entering your email address into the box below.